Stress is a constant companion in the world that we inhabit today. From disrupting our sleeping pattern to affecting our physical health, once stress sets in, more often than not, it leaves us restless & anxious making it difficult for us to focus on anything. The pressures of daily life can leave us exhausting and though we do our best to maintain a healthy lifestyle, unwanted tension can often sneak up on us. Moreover, while there are various things that can help us alleviate stress, let’s agree that these are just temporary measures, and not a long-term solution. Thus, in such a scenario, if there is one technique that has proved, time and again, to have a lasting effect on the overall health of an individual it is Yoga. Practising yoga can help you reduce the physical effects of stress on your body and it can help you relax your mind, thereby assisting you in eliminating physical as well as mental exhaustion. Yoga poses can also help you attain inner peace & tranquillity, thus helping you bring a sense of calm in a world consumed with mayhem & chaos. What’s more, by practising yoga routines daily you can bring about a positive change in the way you live your life and hence, if you are looking for an effective remedy that can help you eliminate stress, then here is an amazing yoga guide that can be of immense help. This guide comprises of a 6 weeks yoga routine, practising which can help you de-stress your life. Take a look! 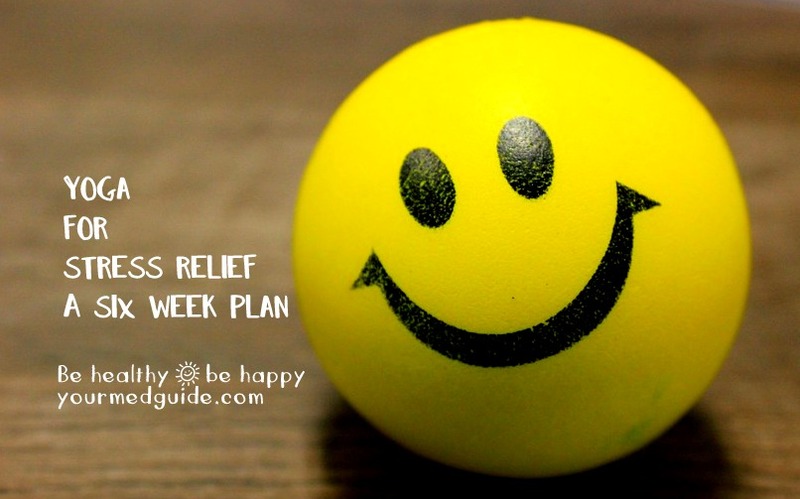 Here is a 6-week plan to de-stress your life from the team at Sudamshelar. Sudam Shelar is a Certified Personal Trainer in Mumbai and the Founder of Sudamshelar.in, a website that provides Health & Fitness services. He is a highly competent fitness expert, who is passionate about his work and is one of the most sought after Personal Trainers in Mumbai.